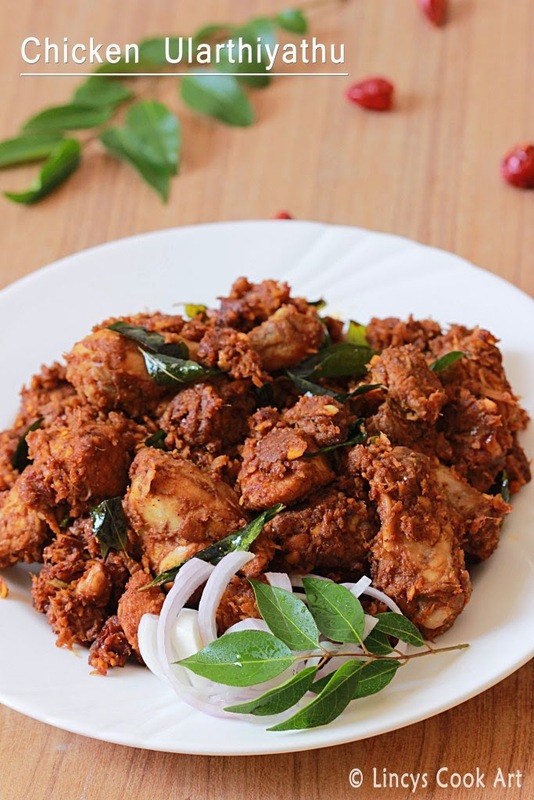 Chicken Ularthiyathu| Ularthu| Olathu is a dry chicken preparation which is easy to make and a tasty preparation which goes almost with all dishes. It is a traditional Kerala preparation which is generally prepared in two ways with coconut and without. Today I am sharing with you the coconut version and the one without coconut shall be shared later on. I had prepared this for lunch and I made plain rice and parippu curry and papad to match with this mouthwatering chicken. 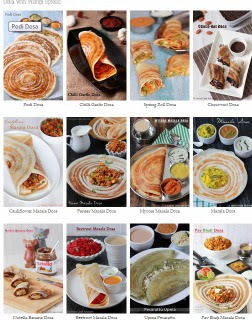 You could also serve this with roti, paratha, appam, puttu, rice..etc.You could avoid using coconut in this preparation too. But the coconut adds some volume and taste to this preparation. Simple yet tasty preparation. Wash and cut the chicken in to small pieces and thoroughly drain the water. Marinate the chicken with turmeric, chilli powder, coriander powder, Pepper powder, Garam masala and fennel powder and salt; rest for 15 -30 minutes. After 30 minutes transfer the coconut mixture into the chicken and mix well with hand. In a wide shallow pan heat two teaspoon of oil and add the chicken; close with a lid and allow to cook for 5 minutes. Once the moisture from chicken oozes out open the lid and start to cook and dry the chicken by constant stirring to prevent sticking at the bottom while roasting. Drizzle little oil if required. Now the raw taste and the flavour of the oniuon, ginger and garlic starts to leave and gets a nice taste and flavour when the colour starts to deepen. The colour of the chicken masala turns orange to light brown colour; now add the curry leaves and a teaspoon of coconut oil for flavour. Continue to roast the chicken it starts to turn dark brown and almost all the moisture oozes from the chicken masala. It is so easy except the roasting time might take 20 minutes but it's worth the taste. Turn off the heat and serve hot with onion rings. Note: You could make this same preparation with out adding coconut too.